The squadron is divided into five flights of cadets. Numbers One, Two, and Three flights contain a majority of the cadets, with approximately 30 cadets in each flight. Number four flight is for Recruits only and has approximately 50 recruits. After completing their eight-week recruit course, new cadets spend their first six months in Four Flight studying the 1st Class Cadet syllabus and preparing for their Graduation Parade, after which they will join one of the main three flights. Last, but most certainly not least that leaves HQ Flight. 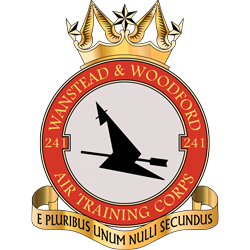 HQ Flight contains some of the most experienced and highly qualified cadets on 241 squadron. It is responsible for the upkeep of the squadron (both administrative and physical upkeep of the building and compound) and provides logistical support for all squadron activities. 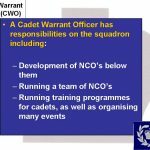 NCOs can be seconded to HQ Flight to help arrange a particular activity or supervise an event. 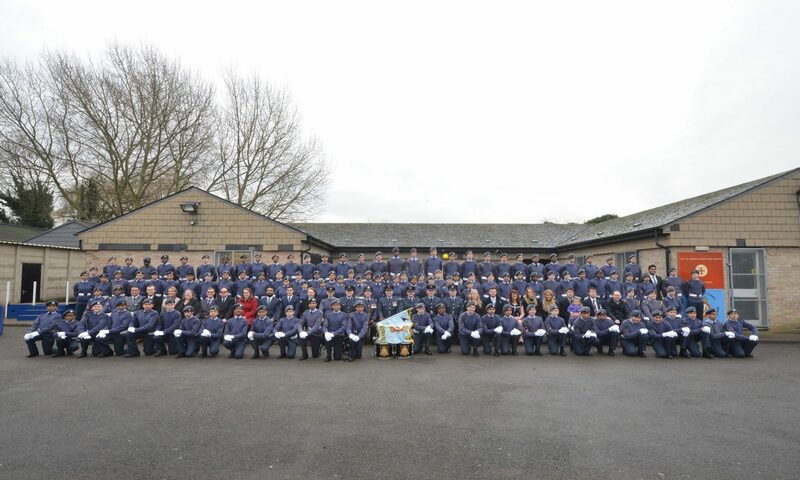 As you would expect the NCO team is large to match the size of the squadron. 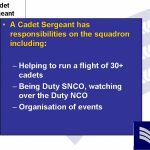 There are currently 23 NCOs on 241 squadron (most squadrons only have about 30 cadets in total). The structure is laid out above. 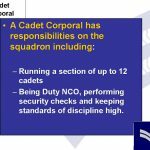 You will notice there are cadets fulfilling the roles of section commander in two flights. This was part of an old scheme of probation before a possible promotion. 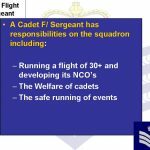 One thing to note from this structure is that the NCO in command of each flight is responsible for each of those cadets under his/her command. Everything from making sure they pay their subs on time, to making sure their cadets get on as many activities as possible. The flight commanders in effect are managing their own squadron-sized flights, which is no mean feat as they also have to balance their time with fulltime education.